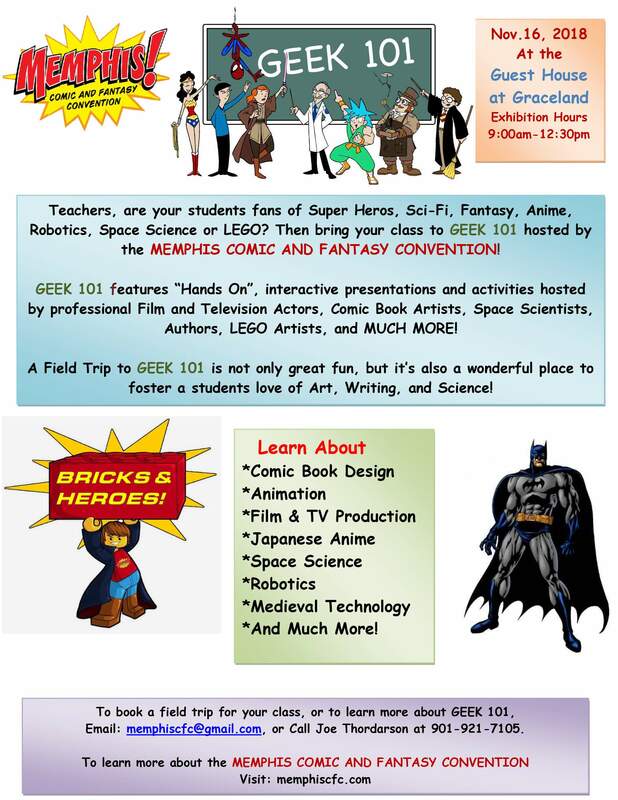 Teachers, don’t miss your opportunity to sign your class up for the coolest field trip in the Mid South called “GEEK 101”. 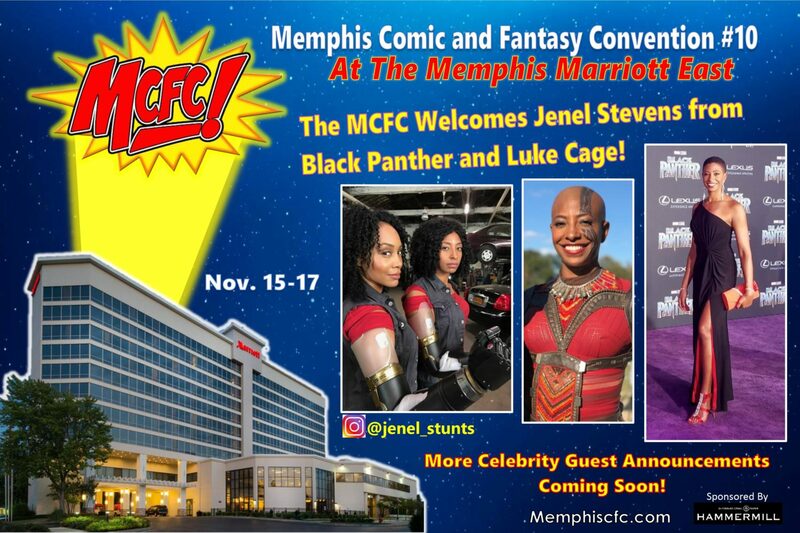 The Memphis Comic and Fantasy Convention is not only great fun, but is also informative, educational, and offers students the unique opportunity to meet and learn from Film and Television Actors, Authors, Comic Book Artists, Space Scientists, Robotics Experts, and all sorts of other interesting professionals. Students participating in GEEK 101, will sit in on interactive presentations from these professionals, and also participate in many Hands On activities. The students will also have the opportunity to visit Artists Alley and shop in our Exhibitors Room, where they can purchase unique gifts and collectibles, that you won’t find anywhere else in the Galaxy. Students will leave excited about the Arts and Sciences, and those students who are aspiring to become an Artist or Scientist, will have the added advantage of making some useful contacts with professionals in those fields. Out of town school groups, home schooled students, and individual parent and student groups are also encouraged to attend. For Ticket Pricing, and to book your class trip, please get in touch! Space for GEEK 101 is limited and will sell out, so don’t wait to make your reservations.